This introduction to yoga for the younger ones includes a short meditation, yoga poses learned through story, song and games, and a final rest. Classes are age-appropriate and inclusive, and fun! I will offer a simple nourishing tea before class for those hungry school children. Contact me for more information on kids yoga classes in your area. 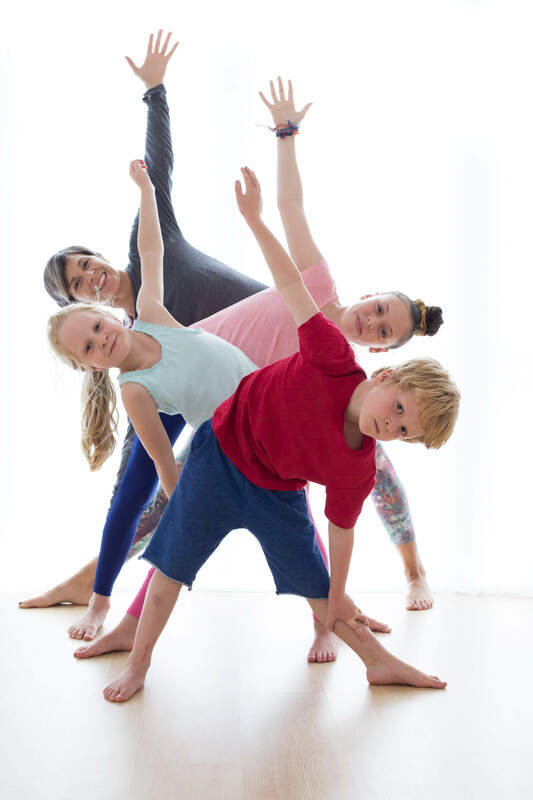 This older kids class features less story, more poses and yoga games, partner poses (acro-yoga), handstand practice and always, mindfulness and a final rest. Greater focus on positive self-awareness, stress-management and self-care. Sometimes a class setting just isn’t the right fit! Kula Kids Yoga offers private bookings to meet some special needs and can help students transition into class, or meet individual goals. Maybe you’re looking for ways to bring creative mindfulness and movement into your home, school, or group. Our imagination is the limit! Contact Jeanne to inquire.